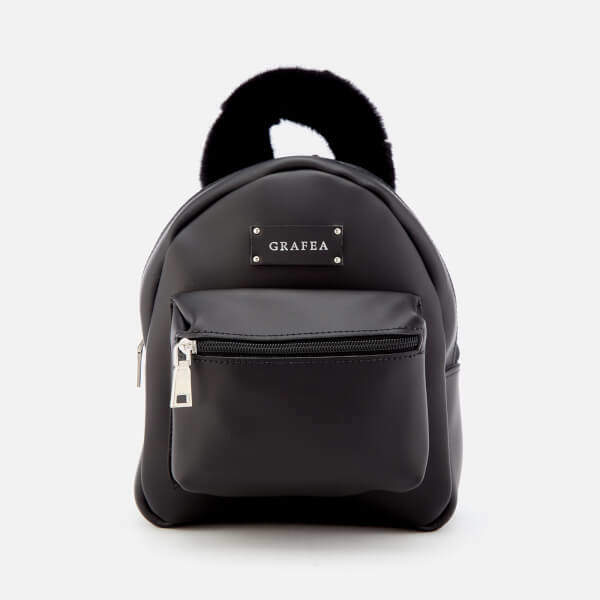 Women’s ‘Agnes’ black leather backpack from Grafea. 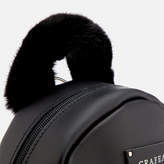 Crafted in ultra-soft Nubuck suede, the mini rucksack fastens with a two-way dual zip and opens to reveal a spacious and main compartment. 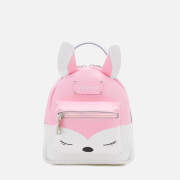 A front zipped pocket is ideal for holding smaller items, while two adjustable shoulder straps and a fluffy fur top handle offer versatile carrying options. 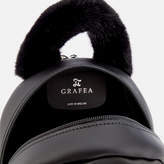 The bag is completed with silver-tone hardware and a branded patch to the front. Nubuck Leather Dimensions: H: 25cm x W: 22cm x D: 15cm Made in England Model is 168cm/5'6 .